JNTUH MCA I, II, III & IV Semesters (R13, R09, R06) Regular/Supply Results Aug 2015, jntu hyderabad released mca I, II, III, IV & V sems regular and supplementary results 2015. 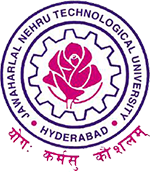 JNTU Hyderabad Released MCA I, II, III & IV Semesters (R13, R09, R06) Regular/Supply Results Aug 2015 on 09-10-2015. Check your Regular and supplementary results from provided servers.